Hachiko.- the most faithful dog in the world was an Akita dog born on a farm near the city of Ōdate, Akita Prefecture (Japan). He is remembered for his remarkable loyalty to his owner, which continued for more than nine years after his owner's death. His owner Hidesaburo Ueno, a professor at Tokyo University, was returning home each day via train. Everyday at the same time, Hachiko would wait for him at the Shibuya Station (train station), to greet him and accompany him home. The pair continued the daily routine until May 1925, when Ueno did not return. 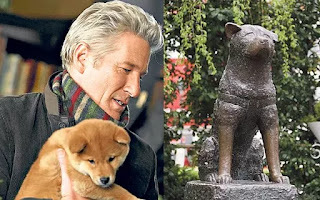 The professor had suffered a cerebral hemorrhage, while he was giving a lecture, and died without ever returning to the train station in which Hachiko would wait. But Hachiko kept returning to Shibuya Station for nine years thereafter, still waiting for his master to return at the exact time the train arrives. Hachiko died on March 8, 1935 at the age of 11 based on his date of birth. He was found on a street in Shibuya. 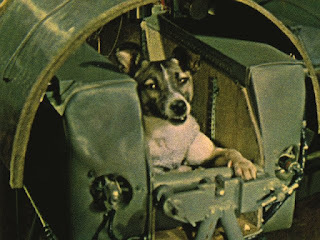 Laika.- one of the most famous dog we know of was Laika, the Soviet space dog, who became one of the first animals in space. Laika, was a stray dog from the streets of Moscow. In 1957 Laika was selected to be the occupant of the Soviet spacecraft Sputnik 2 that was launched into outer space. She was the first living being that traveled into space; but sadly, did not return alive, as the technology at the time did not allow for it. Laika died only a few hours after launch, 3 november 1957. 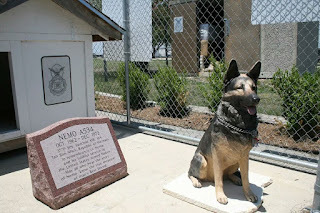 Nemo A534.- was was a German Shepherd dog who served in the U.S. Air Force during the Vietnam War. Nemo saved his owner’s Robert Thorneburg life by attacking 4 enemy gunmen, giving Thorneburg time to call for backup. He died in December 1972 at Lackland where his memorial kennels and stone stand today in his honor. Balto.- was a black and white Siberian husky and sled dog, during a significant diphtheria epidemic in the Nome (Alaskan city) in the summer of 1924, Balto, along with other sled dogs raced across 650 miles of Alaskan wilderness to bring the diphtheria medication to Nome from Anchorage, (Alaska).Balto was named after the Sami explorer Samuel Balto. 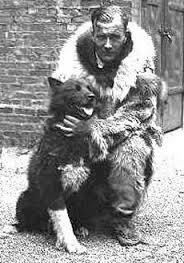 Balto died at March 14, 1933 (aged 14).